Ooredoo announced today that it has entered a strategic partnership with Yatanarpon Teleport to provide broadband services across Myanmar. 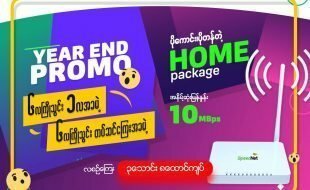 Yatanarpon Teleport is one of the first service providers in the country and offer broadband services for consumers and corporates in Yangon, Mandalay and Pyin Oo Lwin. On the news this year, the ISP withdrawn its winning application for 2.6Ghz LTE spectrum and decided to focus on FTTH. Over the past few months, the service provider significantly reduced its consumer broadband pricing to compete with the emergence of new service providers. At that stage, it is still unclear what this partnership will mean for Ooredoo and YTP. According to the press release, both companies will unite their effort to provide the best Internet services in the country. The service will be available in the cities already covered by YTP network from November 1st and rapidly expand all over the country. U Soe Thein, CEO YTP said “This is a milestone in Myanmar’s telecom industry with best players from related industries coming together to offer superfast internet services to the people of Myanmar”. VNO model or white label? A valid hypothesis would be to see Ooredoo leverage YTP network infrastructure to provide Internet services on a VNO model. One year ago, Telenor launched its broadband services into Myanmar. The announcement came along with an aggressive pricing that redefined the price for broadband in Myanmar. 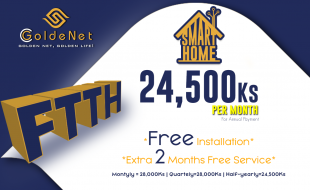 A few months after, MPT re-launched its FTTH services on a similar price range. The offer was first only available in Pabedan township. Earlier this week, MPT announced that the offer will be available in Mandalay and expanded to new townships in Yangon starting next month. Thanks to its partnership with YTP, Ooredoo also make an entrance into the broadband market. The Qatar-based operator is decided to not let competition with one step ahead. With this welcome addition to their portfolio, mobile operators in Myanmar are rapidly converging to quad play catching up on mature markets in APAC.